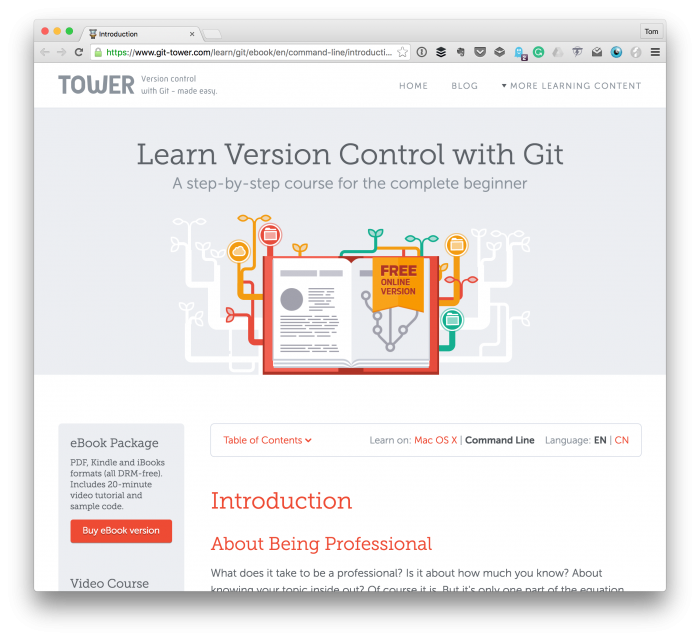 The web is replete with resources for how to learn Git (including the Git site itself.) But Tower recently released a book online (as well as other versions available for purchase) that are worth checking out. What does it take to be a professional? Is it about how much you know? About knowing your topic inside out? Of course, it is. But it’s only one part of the equation. The other part is about using the right tools and cultivating the right habits. 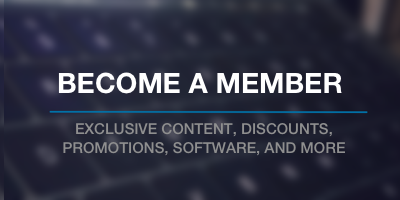 Specifically, I like the fact that they acknowledge part of becoming a professional in the industry is knowing what tools are available and knowing how to use them. The thing is, finding a good place to start along with a resource that will take you through a system end-to-end can be difficult. This particular site has been one of the best I’ve found as it relates to teaching the Git source control system. Now, I’m not biased enough to say that Git is the source control system you should know nor is Tower the software you should use. However, I do think it’s important to know how to use whatever source code control system you choose to use and how to use it from the command-line or application that you opt to use. If you’re someone who’s interested in getting deeper into this particular aspect of development, but aren’t sure where to start or aren’t even sure how to start learning, then I recommend reading through this book. Even if you have some experience with Git, then it wouldn’t hurt to read through this to gain an even deeper understanding. Personally, I’m by no means an expert on the source control system (but I’d like to be). So I’m recommending this not only for your benefit but my own, as well.